Double pointed needles have terrified me ever since I started knitting. About a year ago, I recorded a couple of episodes of Knitty Gritty that went through the in’s and out’s of double pointed needles. I can’t tell you how many times I have watched those same episodes over and over again. For some, these are easy to learn. For me, this took a good few weeks of work to finally get the hang of it. I think I was intimidated more than anything. 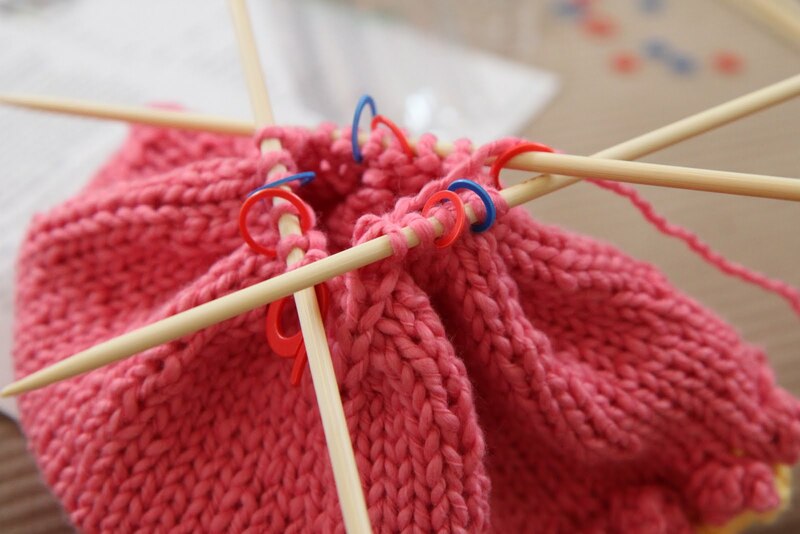 Knitting with three needles is so awkward to me, much like my first days of learning to knit were. For most hats though, they are a necessary evil and one that I was willing to tackle to move on to some fresh new projects. I wanted to share with you a few of my latest hat creations that I am so proud of. I learned many new techniques through these hat projects and I can’t wait to share them with you! 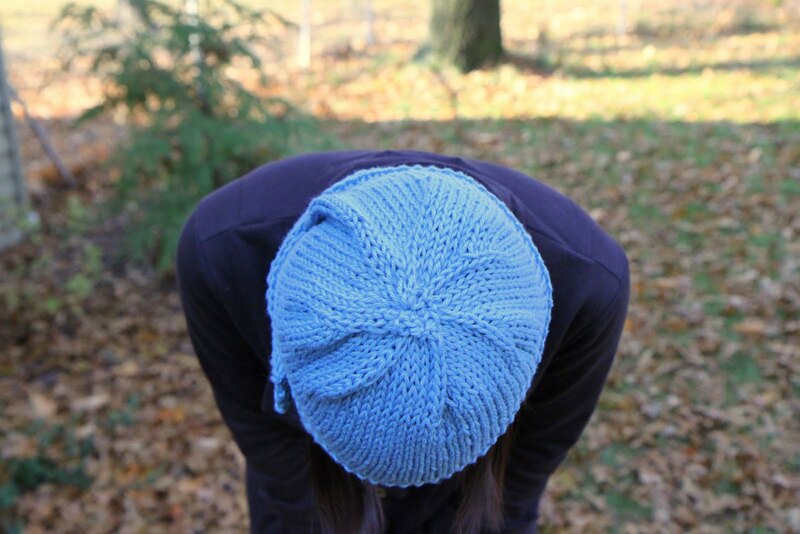 Notes: This hat took two tries before I figured out the sizing that I needed. There is such a thing as checking gauge, but I had already went two needle sizes down on the pattern so I figured I was safe. It turned out, I was wrong. The first one turned out to be a hat more appropriate for a 7 year old rather than a 4 year old. Lucky for me, my best friend has a daughter who is just that age so I am going to give her the first one. To make the sizing perfect for my daughter (who must have a very small head or I knit extremely loose), I switched my needle sizing to size 6 (the original pattern called for size 8 needles) needles and decreased the cast on stitches to 72. That turned out to be the perfect size with this yarn and for my sweet little girl’s head. I learned so much from this pattern. The thing I was extremely proud to have learned was how to make bobbles. I found a fantastic You Tube tutorial and used that to create this hat. I had also never made a pom pom before and that was super fun and easy! Below are the tutorials that I used to create this hat! We love it so much that now I want to make another one in purple for her. 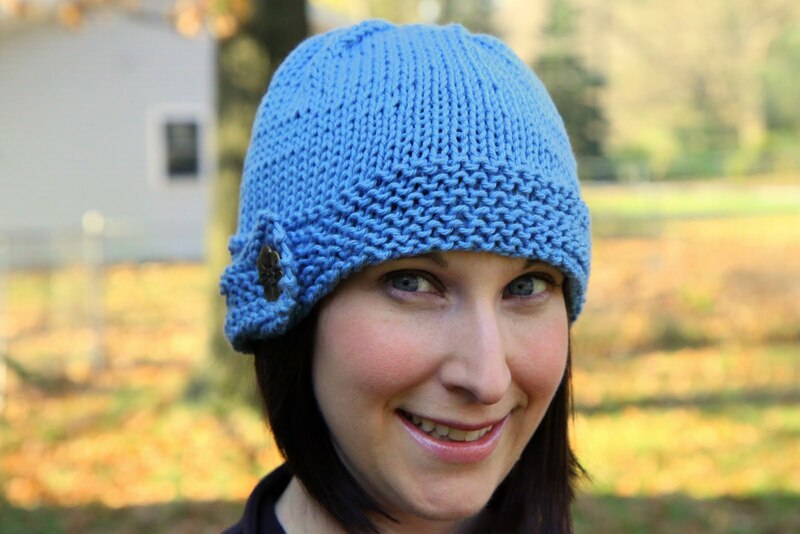 A girl has to have great choices for her winter wardrobe and I absolutely love this cute hat! Yarn: I Love This Cotton! yarn in Vintage Teal & the bronze flower button was found at Hobby Lobby. Notes: Again, I did not check my gauge (are you seeing a pattern here?) and figured out that I need to go down two needle sizes for every hat pattern I make. 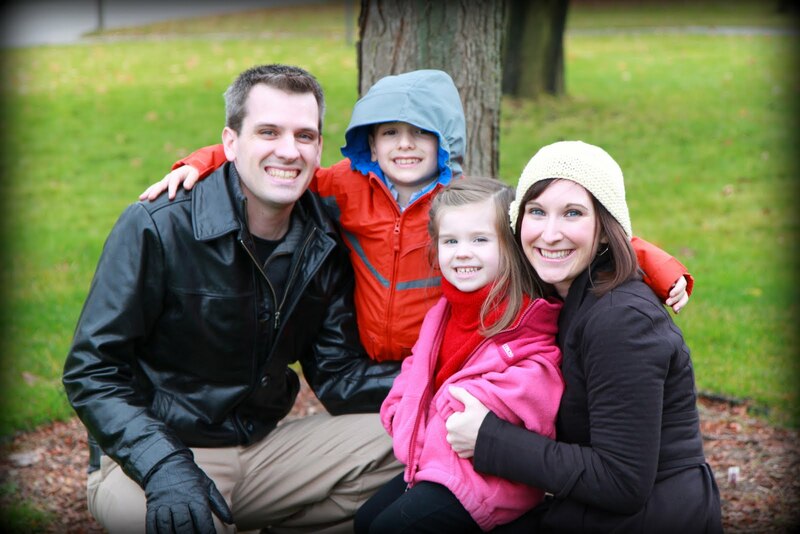 It seems the Clark family has small heads or I am a really loose knitter. Thanks to the adjustable button closure though, I just pulled it in tighter to adjust to my head sizing. In my opinion, thanks to this cute adjustable brim, this is an absolutely perfect hat for a beginner because you can tuck it in if you need to. I loved this pattern so much that I decided to make a second one in winter white in the same I Love This Cotton! yarn (available for $2.99 a skein) at Hobby Lobby. Here is my second hat made with the size 8 needles (instead of the size 10 above) and I cannot stop wearing it. Every single time I wear it someone asks me where I bought it. For my friends that know me, they ask if I will make them one. I have two more to create before Christmas for a couple of special people in our family. 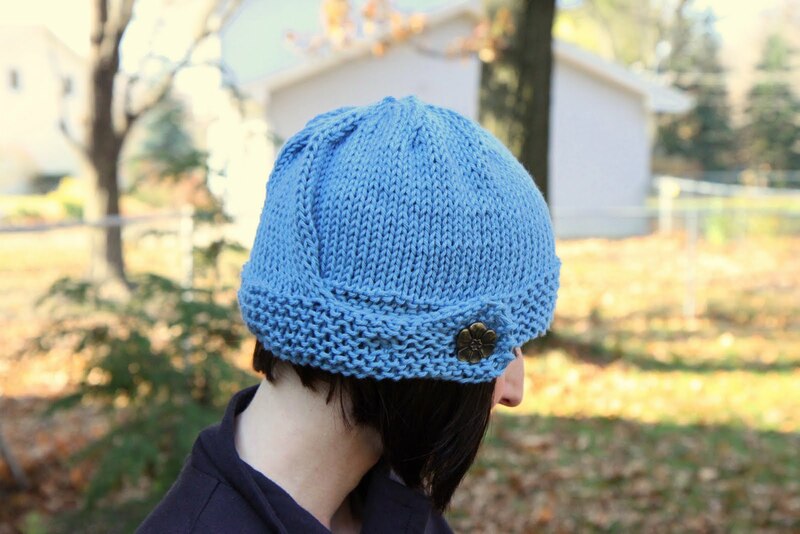 I love this hat to death and can’t say it enough that it is the perfect hat pattern to start with because it is super easy to NOT get those stitches twisted with the garter stitch brim. rds Amazon gift cards to score these for free. 2. Bamboo 9″ Double Pointed Needles– Again, these are an off-brand needle and they were extremely rough so they held my stitches really well. As a beginner on these, these rough double pointed needles were key for me to get the hang of it without dropping stitches. It was a lot cheaper to buy these as a set and I did apply my Swagbucks towards the Amazon gift cards so I didn’t have to dip in my pocket to pay for them. 3. A Better Ring Marker- I was using the kind that you just slipped over the needles and was finding that I was losing my starting stitch marker for knitting in the round. My mother-in-law gave me the kind that slip onto the yarn and I put that at the beginning of my round. It was key to not losing my place and helped me stay on track with my pattern! Below are a few tutorials that I used that helped me with these patterns! I hope they will help you as much as they have helped me this last month!